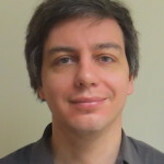 Alexander is a scientific software developer with a background in computational chemistry and electronic structure theory. His expertise includes performance analysis, parallelization and inter-lingual software interoperability. He can assist with adapting scientific codes to parallel environments, making efficient use of HPC resources, scaling up codes, locating current and emerging performance bottlenecks, identifying hot spots, and parallelizing performance-critical parts.